Please note: The Nov 7 blast email to members mentioned Dec 4 by mistake. The correct date is Dec 8. Registration deadline is November 22, 2017 – Extended to Dec 4. Congratulations to the 2017 Leo Hendrik Baekeland Award Winner! 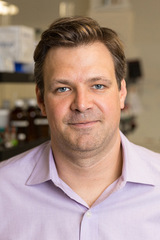 Dr. Christopher A. Albi: Coupling Molecular Design to Structure and Activity of Sequence-Defined Macromolecules Control over primary sequence and structure is critical to the development of new functional materials such as catalysts, synthetic affinity ligands and therapeutics, sequence responsive scaffolds, programmable biomaterials and much more. Motivated by these opportunities and the need for sequence-control and structural diversity in polymer research, we present a versatile methodology for the assembly of a new class of sequence-defined macromolecules called oligoTEAs. With sequence-control in hand, we are currently working to establish sensitive solution-phase structural characterization methods to determine their conformational dynamics and to formulate sequence-structure relationships for biological applications. We focus on applications that leverage the advantages of these novel macromolecules such as increased serum stability, precise control of backbone and pendant group sequence, and a large scope of chemically diverse monomers. Current applications under exploration in our lab include the design of cleavable linkers to quantitate intracellular cleavage kinetics, development of novel sequences and conjugates for intracellular drug delivery, and the design of membrane selective antibacterial compounds. In this talk, I will discuss the antibacterial properties of oligoTEAs in detail by examining the kinetic phenomenon behind their mechanism of action and investigations into the effect of primary sequence, composition and structure on antibacterial properties.Dr. Natalia Shustova: Fulleretic Materials for Directional Energy Transfer Fulleretic materials have been of a great interest since their discovery due to the unique electronic properties imposed by their ball- and bowl-shaped molecular structures. Merging these intrinsic properties of fullerene (buckyball) and corannulene (buckybowl) derivatives with the inherent properties of crystalline metal- and covalent-organic frameworks (MOFs and COFs), namely their modularity, porosity, versatility, high surface area, and structural tunability, opens a pathway to unlock a novel class of fulleretic materials for development of optoelectronic devices, electrodes, or photosensitizers. In this talk, the first examples of corannulene-based frameworks as well-defined fulleretic donor-acceptor materials will be discussed. Furthermore, in combination with photoluminescence measurements, the theoretical calculations of the spectral overlap function, Förster radius, excitation energies, and band structure were employed to elucidate the photophysical and energy transfer processes in fulleretic materials. We envision that the well-defined crystalline fulleretic donor–acceptor architectures could contribute not only to the basic science of fullerene chemistry but would also be used towards effective development of organic photovoltaics and molecular electronics.Dr. Jeff Moore: Organic Chemistry at the Interface of Materials and Mechanics Department of Chemistry and The Beckman Institute for Advanced Science and Technology, University of Illinois at Urbana-Champaign, Illinois, 61801 jsmoore@illinois.edu http://sulfur.scs.uiuc.edu In this talk I will discuss the molecular design of organic structural materials that mimic the ability of living systems to protect, report, heal and even regenerate themselves in response to damage, with the goal of increasing lifetime, safety and sustainability of many manufactured items. I will emphasize recent developments in frontal ring-opening metathesis polymerization (FROMP) to manufacture composites with minimal energy consumption. The talk will also present a workflow for the design, evaluation, and development of new “mechanophores”, a term that has come to mean a molecular unit that chemically responds in a selective manner to a mechanical perturbation. Mechanophores are building blocks for the development of mechanoresponsive materials with protection and sensing functions. The impact and challenges of introducing these capabilities in real-world situations will be mentioned. Patrick, J.F. ; Robb, M.J.; Sottos, N.R. ; Moore, J.S. ; White, S.R. Polymers with Autonomous Life-cycle Control, Nature, 2016, 540, 363-370. Li, J.; Nagamani, C.; Moore, J.S. Polymer Mechanochemistry: From Destructive to Productive, Chem. Res., 2015, 48, 2181-2190. Dr. Timothy M. Swager: Dynamically-Reconfigurable Complex Emulsions This lecture will focus on the design of systems wherein the reconfiguration of immiscible fluorocarbon/hydrocarbon droplets can be triggered chemically of mechanically. The utility of these methods is to generate transduction mechanisms by which chemical and biological sensors can be developed. Three different types of systems will be discussed. (1) Particles wherein a protease enzyme releases cleaves reactive surfactants. (2) Janus droplets  that can be reoriented to give strong optical responses in response to pathogens. (3) Integrated optical systems that make use of the refractory optics to create novel sensing modalities. Zarzar, L. D.; Sresht, V.; Sletten, E. M.; Kalow, J. A.; Blankschtein, D.; Swager, T. M. “Dynamically Reconfigurable Complex Emulsions via Tunable Interfacial Tensions” Nature, 2015, 518, 520-524. Zarzar, L. D.; Kalow, J. A.; He. X.; Walish, J. J.; Swager, T. M. “Optical Visualization and Quantification of Enzyme Activity using Dynamic Droplet Lenses” Proc. Nat. Acad. Sci. 2017, 115, 3821-3825. Nagelberg, S.; Zarzar, L. D.; Nicholas, D.; Subramanian, K.; Kalow, K. A.; Sresht, V.; Blankschtein, D.; Barbastathis, G. Kreysing, M.; Swager, T. M.; Kolle, M. “Reconfigurable and Responsive Droplet-based Compound Micro-Lenses” Nature Comm. 2017, 8, 14673. He, Y.; Savagatrup, S.; Zarzar, L. D.; Swager, T. M. “Interfacial Polymerization on Dynamic Complex Colloids: Creating Stabilized Janus Droplets” ACS Appl. Mater. Interfaces, 2017, 9, 7804–7811. Zhang, Q.; Savagatrup, S.; Kaplonek, P.; Seeberger, P. H.; Swager, T. M. “Janus Emulsions for the Dectection of Bacteria” ACS Central Science 2017, 3, 309-313.